The Digital Enterprise Show (DES) starts Tuesday, May 22 and runs through Thursday, May 24. The forum will gather more than 480 world experts in Artificial Intelligence, Blockchain, Cybersecurity, IoT, and Marketing. 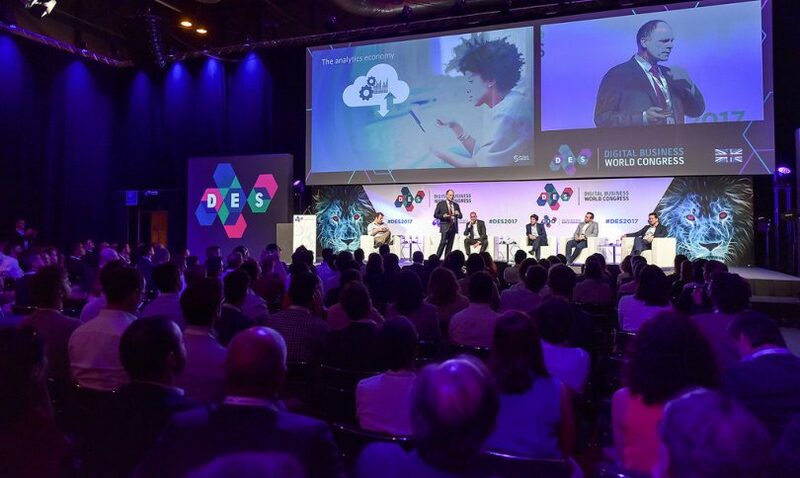 In its third edition, DES will have an economic impact of more than 35 million euros for Madrid, thanks to the more than 18,000 visitors that it expects to receive during the three days of the event that has managed to place hotel occupancy above 80%. The objective of this forum is to examine how technology is transforming industries, to identify the main changes that are taking place in society and business, and to provide the keys and knowledge that will help professionals know where to get a sustainable economy that responds to the challenges of a digital society. Spain; and Antonio Garamendi, President of CEPYME. With Artificial Intelligence, Cybersecurity, Blockchain, and the new GDPR regulations being a major focus, DES will bring together the greatest minds in their respective industries to hash out technological solutions that are driving the development of new business models such as the IoT, cloud, big data, cybersecurity, blockchain, and digital marketing, among others. The AInomics forum, which combines the experience and knowledge from leading experts at the international level, will focus on three main areas, starting with the strategic aspects of AI, its practical applications, and the debate of ethical issues surrounding smart technologies. The new GDPR regulations will come into effect the day after DES 2018 closes its doors, and it will also be one of the main themes of this year’s edition. DES 2018 also aims to show how the development of IoT technology solutions has a direct impact on today’s society while promoting innovations that improve social integration and equality. Within the framework of these forums, the IoT Tech Series is dedicated to understanding the challenges and opportunities posed by the Internet of Things. Cybersecurity will be another focus at DES Madrid 2018, and starting tomorrow, FBI Special Agent Aristedes Mahairas and NATO Cyber Defense Director Christian Lifländer will analyze and discuss cybersecurity threats to businesses. Dr. Alissa Johnson, Chief Information Security Officer at Xerox and former Deputy CIO for the White House, will also be talking about how companies should develop a strategy to deal with threats, what aspects should be addressed first, and how to provide security against attackers that are increasingly more subtle. DES has the support of the Ministry of Energy, Tourism and Digital Agenda; the Secretary of State for the Information Society and Digital Agenda; the Community of Madrid and the City of Madrid, and the European Commission.